Adolescence is decision-making time for many. These decisions might effect a person’s whole life. Have you ever felt that you couldn’t take back something that you have said or done. There is sometimes a cockiness to adolescence which gives them the power to make judgments, not only for themselves, but others as well, usually their parents or anyone whom they do not really understand. What preparation do adolescents have for these often very enduring decisions? “Do what I say; don’t do what I do,” some folks seem to imply when disciplining their adolescents. 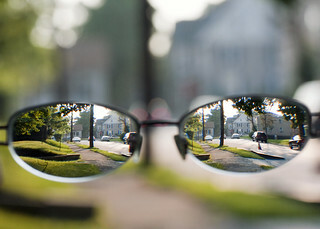 Adolescents can be near-sighted and see things only from their own point of view. They are quick to see the faults of others, but not their own. Someone else’s problems, especially those of older adults, are easy to solve if they just did what the adolescent thinks that they need to do. Knowing the repercussions that would accompany most decision choices are usually necessary precursors for making these judgments. A lot of topics that adolescents need information about are not always covered in public situations but it is reserved for the family or church to do teach these things and ultimately if they don’t get this done, the electronic media or equally uninformed peers do it. It is amazing who and what teaches our kids. Their babysitters, preschool if it is a choice, and then there are the parents if they make to decision to keep the children at home and sheltered from outside sources of this information. In the past, we tried to protect our kids from disturbing information only for them to get it elsewhere sometimes under less than desirable conditions. Some parents take their responsibility very seriously and others do as little as possible and sometimes they can’t wait to kick the teenager out of the house and on their own at 18 with little or no preparation for independence. Adolescents ultimately have to make it on their own. They need to know who they are, what their values and talents or abilities are, how they view the responsibility of being sexually active, answering the question of, “Why am I here“, and solving their own problems so they can live a happy life. Also there are 0ften also the jobs of picking a life partner, parenting children, and finding a way to support oneself and dependent others. What are some other decisions that adolescents usually have to make? Are they prepared? Also one part of the brain that has to mature in order for them to make good decisions and to be able to consider long-term over short-term effects of making decisions is not fully developed until sometime in young adulthood.